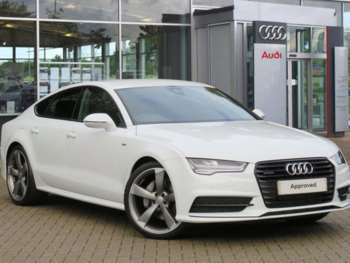 Dubbed as the Audi A7 Sportback, this is a car which is designed for a very niche part of the market. In fact, Audi basically created its own sector of the market with this car, so it is hard to wonder why it exists. 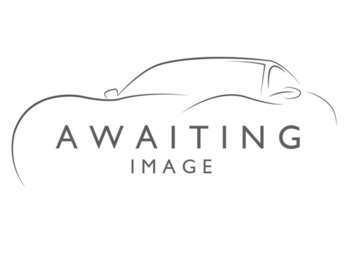 It’s classed as a car which looks like a coupe but it’s actually a saloon. 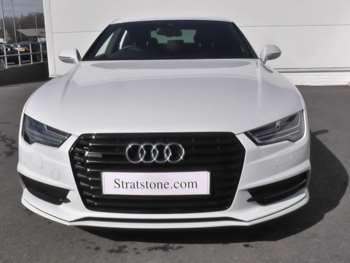 So it looks good and yet drives like your typical executive saloon – odd, right? 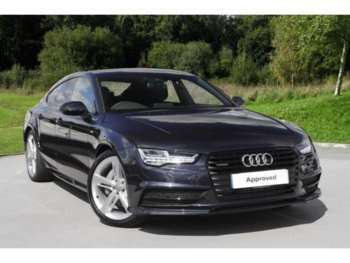 Well, no; as the A7 has sold quite well. 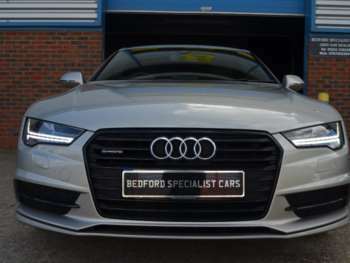 It’s one of the most distinctive Audis on the road and it’s clearly struck a chord with the executive who’s bored of A6s and A8s. Think of the Sportback as a nice balance between the sportiness of an M3 with the luxury of an A8. It’s kind of an in-between car. There’s no doubting you get a lot for your money, but for the initial outlay you would expect a decent amount of kit and tech. 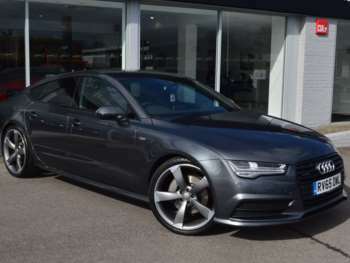 The Sportback is a super-modern Audi, so it gets all of Audis clever gizmos like adjustable suspension, a million airbags, climate control, sat-nav; the works. 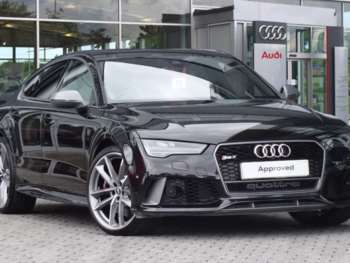 The Sportback is not a cheap car to buy, but with Audi’s fantastic amount of luxury and technology you could argue it’s worth it. 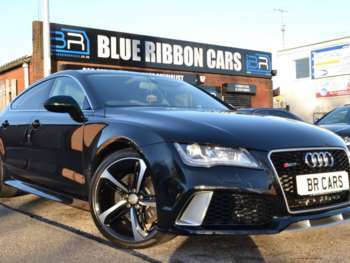 There won’t be too many used A7s about yet – as it’s a relatively new car – but with the car costing around £50K new, you can expect to pay around £30,000 for a used example. Again, not cheap, but it is a quality car. With the A7’s new status, it should still come with a manufacturer warranty, so there’s very little to worry about at this stage. Just make sure it’s in good condition and that it’s been serviced! New Audi parts are always expensive because the technology is so complex, so expect to pay through the nose for some parts. 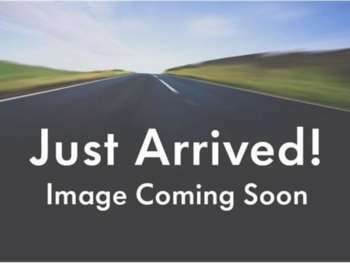 You’re likely to find that new tyres will be your biggest outlay as the huge rims mean you need rather huge tyres to fit them, so bear that in mind. This is where the A7 Sportback really starts to pick up steam. It’s a brilliant car to drive, despite its size, and really does just shrug off its weight and flies. You can drive it with vigour and then, when you see the fuel gauge drop, turn it back into a luxury cruiser. It really is a car of two-halves. 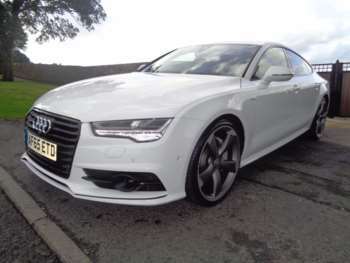 It’s a practical car with the potential of increasing your heart-rate in a moment, so if that’s the type of executive car you fancy then the A7 is definitely a car to consider. Just remember that the fuel economy won’t be brilliant and the running costs are quite sobering. 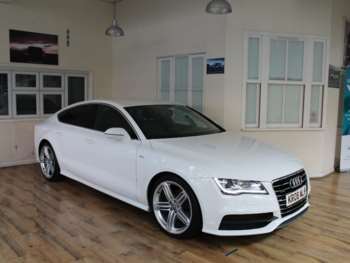 The A7 is a niche car with bags of personality and good looks.